Raleigh’s Crabtree Valley Mall is not only one of the best places to shop for children’s clothes in the area, but it’s also home to several stores that make your kids beg to go to this premier mall that offers shoppers more than 200 stores, dozens of restaurants and valet parking. Crabtree Valley Mall is home to Greater Raleigh’s only Disney, LEGO, and Build-A-Bear Workshop stores. That’s right. Raleigh is home to the stores that our kids dream about nightly. Many parents, myself included, have promised trips to these three stores following a great report card, or after filling up a reward chart for good behavior. And sometimes you go just to see the smile on your children’s faces. 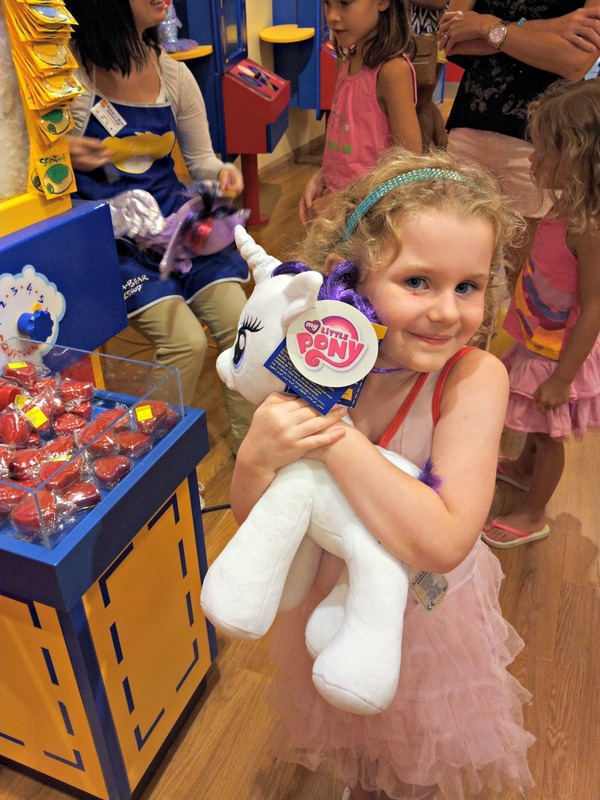 Making a new friend at Build-A-Bear Workshop was on my daughter’s summer wish list. We had a fun outing with some of her best friends to make that happen. 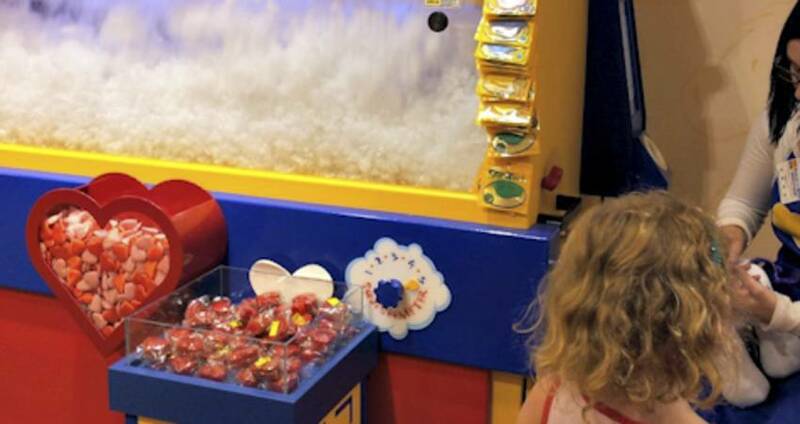 At Build-A-Bear, children can pick out a new best friend, give it a heart, pick out character and personality traits and choose just the perfect amount of stuffing for hugs. 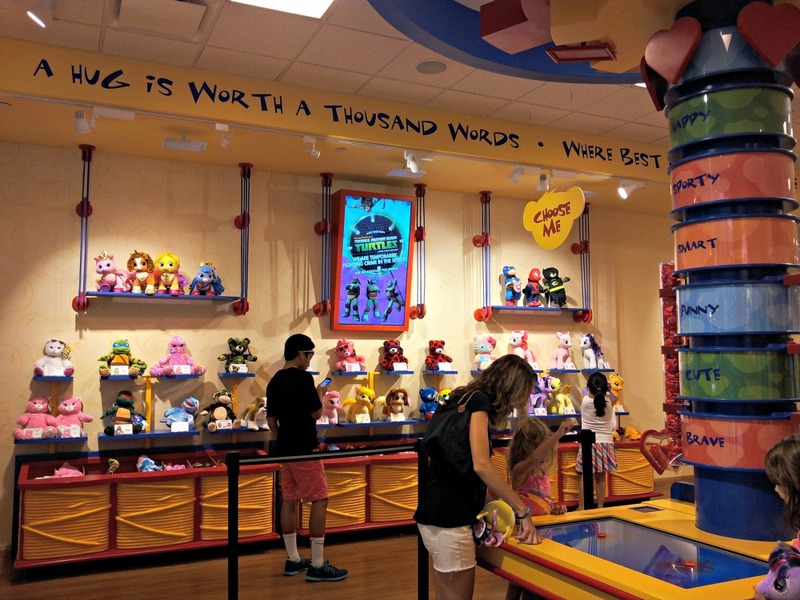 Build-A-Bear Workshop has something for every parent’s budget. Basic bear building starts around $12. Some small animals are already stuffed for under $10. For our outing, I set a budget of $25, and she chose Rarity, a My Little Pony. Animal clothing and accessories are extra. I imagine I’ll be heading back for those items during the holidays. Crabtree Valley Mall is open daily and has an impressive selection of items for children under one roof. No matter if you’re looking for shops with everyday essentials like kid’s clothing, kid’s shoes or kid’s eyewear or a great toy store for the perfect gift, you will find it there. For a complete list of stores at Crabtree Valley Mall, visit the store directory. Crabtree Valley Mall is located at 4325 Glenwood Ave. in Raleigh. There are numerous hotels in the midtown Raleigh area, so you can shop even longer. Crabtree Valley Mall is located about six miles from downtown Raleigh. See you at Crabtree Valley Mall this fall and winter. Get that holiday shopping list done early.